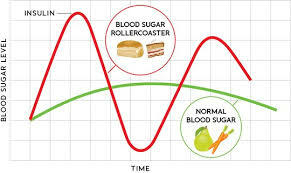 Blood sugar management is what I think is the basis of any sports nutrition plan. I work with clients to help them lose weight, lose body fat, lower cholesterol and risks of diabetes. Many are athletes who want to improve body composition and combat fatigue while improving endurance and strength. These issues can improve as you balance your blood sugar. This is a common suggestion, but how the heck to you do that?? Yesterday I had a client who said ‘Wow, I never heard how to actually do this. I am so glad I met you!” A second client’s doctor suggested they balance blood sugar, but sent them out the door with no direction. People came to me as I am “the nutrition expert”. Balancing blood sugar is paramount for athletes at any level as part of their sports nutrition plan! Balancing blood sugar is not that hard if you can follow these simple tips. Try to eat every 3 hours or so starting with breakfast within an hour of waking up, or within 30 minutes of finishing your early morning exercise session. This will help to balance the blood sugar so the body starts to burn fat rather than storing it. You eat smaller meals, but you get to eat every 3 hours. Think of it more like eating just enough so you get to eat again in 3 hours! Skipping meals is probably the number one way to create an imbalance in blood sugar. One, your blood sugar drops and all you crave is either a lot of food, or lots of sugary and starchy foods. I used to snack on oat pretzels which would spike my blood sugar, and I would be starving a couple hours later. When you skip a meal, you tend to never be satiated and feel like the bottomless pit – you can just eat and eat and eat! Sumo wrestlers tend to eat only once a day. They have plenty of muscle, but they eat more than their bodies need in one meal which causes the body to gain body fat. This goes hand in hand with number 1. Try to stop eating when you are comfortable, rather than keep eating until you are full. When you feel stuffed, you have the tendency to skip meals. Your body doesn’t actually digest the foods very well when the stomach is overfull. think of over-stuffing the washing machine. It may get the clothes wet but you may not be getting the clothes clean. It is like this with digestion. If you over-stuff the stomach, it has a really hard time digesting the foods and it becomes more of a laborious task that can take longer than usual. Choose a balance of some protein, some carbohydrate and lots of green vegetables. Almost like the My Plate program by the USDA, choose half of your plate to be with green vegetables. Then a quarter with proteins, and a quarter with carbohydrates. The fat and fiber is usually there so you don’t have to worry about that much. Think of how you can slow down the absorption of the sugars in carbohydrates – add fiber, add protein, add fat. So start with choosing your vegetable, then add a protein, then add your carbohydrate (grain, root vegetable or bean) and try to eat it in that order, too on your plate. What would that look like? Half your plate can be steamed broccoli with butter, 3 ounces of grilled chicken and 1/2 cup of either a potato, grain or beans. Pretty simple eh? I hope this helps answer the question about how to balance your blood sugar. If you need more help, just drop me an email or schedule a session so we can review your current plan to make modifications that are easy to incorporate. The Weight Management/ Balance Blood Sugar plan will help you balance your blood sugar not just for now, but for life. Joanna Chodorowska, BA, NC, TPTH is a holistic sports nutrition coach helping you find balance in body, mind and soul so you can perform at your best. She works with athletes as she is an athletes. Many of the same principles apply to non-athletes, too. Her primary goal is to identify what may be lacking in your current nutrition plan, and make adjustments so you can be your best every day. 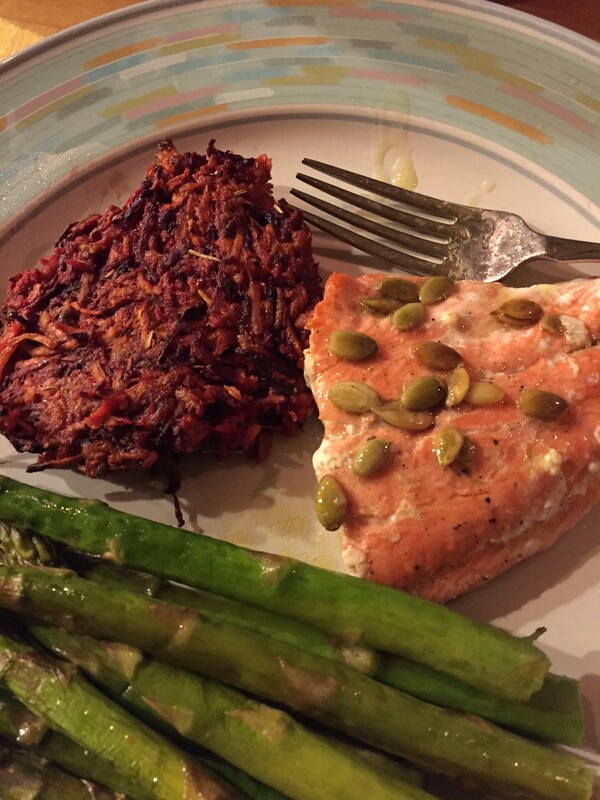 She designs meal plans that you can live with every day, not just right now. Her specialties include blood sugar management, fatigue, GI distress and pain management.